A modder is attempting to bring Nintendo 64 classic GoldenEye 007 back to life, just in time for the FPS’s 25th birthday. 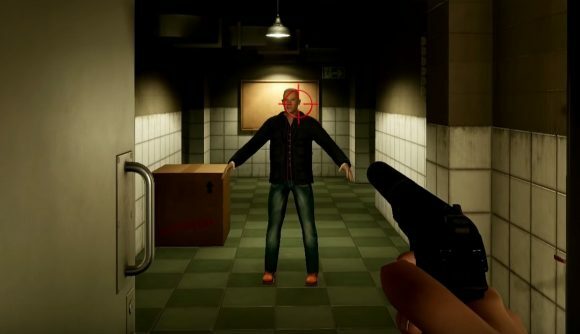 The fan-made mod, which is known as GoldenEye 25, is being made in the Unreal Engine, and is scheduled for a release in August 2022. Unless you still own a functioning N64, your best bet for playing GoldenEye (which is based on Pierce Brosnan’s 1995 Bond film of the same name) has been GoldenEye: Source. That’s a decent adaptation, but for legal reasons it’s never included the game’s single-player campaign. The new mod is attempting to rebuild the entire story campaign within Unreal Engine 4. Modder Ben Colclough previously worked on that Source mod, and is hoping to “port and remaster” the game into the new Engine in time for the 25th anniversary in a few years’ time. Colclough initially wanted to port the game from its N64 version into UE4, but has since started to build the entire game from scratch due to the scope of that initial adaptation. You can check out some footage of the mod in the video below. It’s obviously still in its early stages – as shown by the enemy who ominously T-Poses his way towards bond around the one minute mark – but the environments are looking pretty good. As mentioned, the scope of the project and Colclough’s day job means that the mod probably won’t be playable for most people until 2022. And that, of course, relies on no legal action being taken by Rare until then. But given that your only other option is to dust off your N64, I guess this is your best bet.